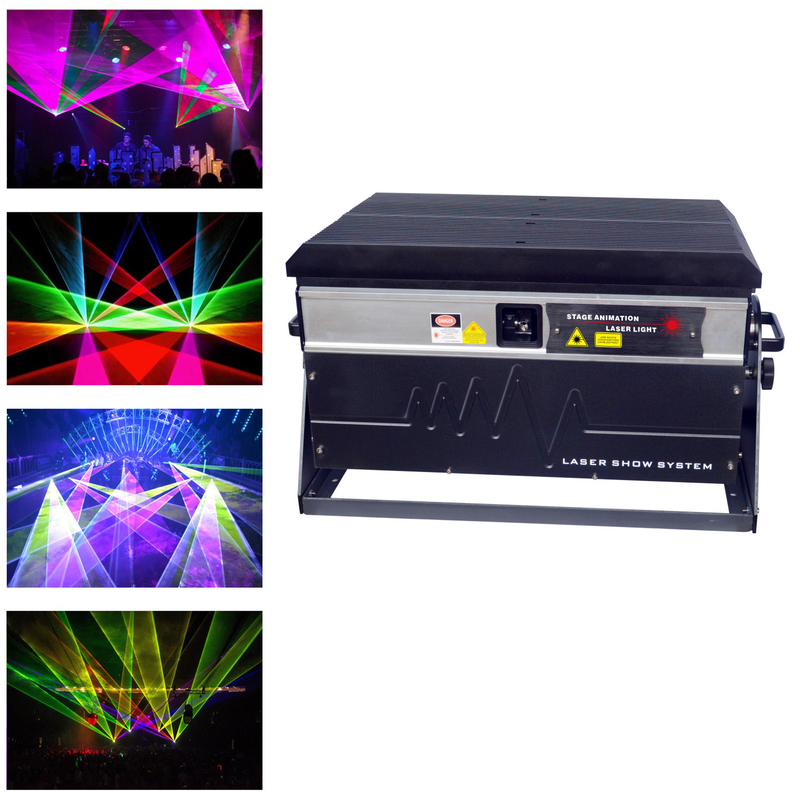 1.Domestic production of one of the most high power laser can be widely used in the stadium, concert, water curtain film, the opening ceremony and other large-scale performances and advertising promotion. 2.Lighting is waterproof, all-weather use. Body vertical direction manually adjustable angle, easy to use performance. In addition, we made a special design on the chassis, allowing you to more easily spot overlap correction. 3.new LCD panel program. Powerful functions, the interface is complete. With SD card , containing rich programs,can be directly use DMX control directly create the same effect as the laser software for your computer.The built-in various music modes, so newcomers are no pressure, Also supportsRJ45 cable transmission signal, So you no longer worries arrangement of wires. ◎ Control Interfaces:ILDA Standard DB25 Connector,International Standard DMX 512,Phoenix(Germany) or Pangolin (USA) etc,Lightful RJ45.